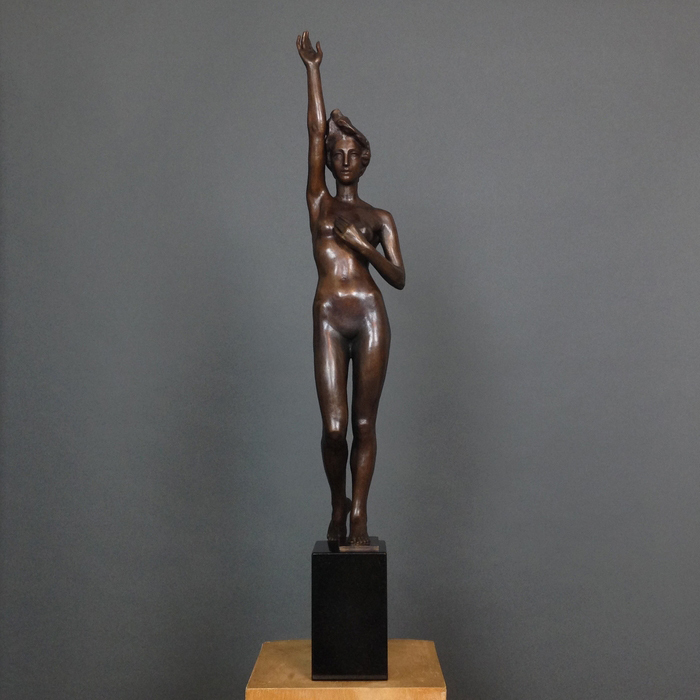 Sandra Shaw has specialized in figurative sculpture in bronze for over 30 years. Shaw’s sculptures are held in public and private collections in Canada, the U.S., England, Australia, Israel, India and Singapore. Awards include the Lucresia Bori Award of Merit and the Chaim Gross Scholarship, National Academy of Fine Art; the Leonard J. Meiselman Memorial Award, National Sculpture Society, and the American Academy of Equine Art Foundry Award. Her professional affiliations include: Elected Sculptor Member, National Sculpture Society; Elected Sculptor Member, California Art Club; Artist Member, American Artists Professional League, and Associate Member, Allied Artists of America. Shaw trained in sculpture and drawing studios at the National Academy of Design School of Fine Art. She holds an Master’s of Art in Philosophy from the University of Toronto. Shaw also speaks on aesthetics and art history at humanities symposia and is authoring a book on how ideas have impacted the arts through history. Her most recent interview appears in the Fall issue of The Undercurrent magazine.